Victor Dudley is charged with aggravated assault, which carries a maximum penalty of 10 years in prison. 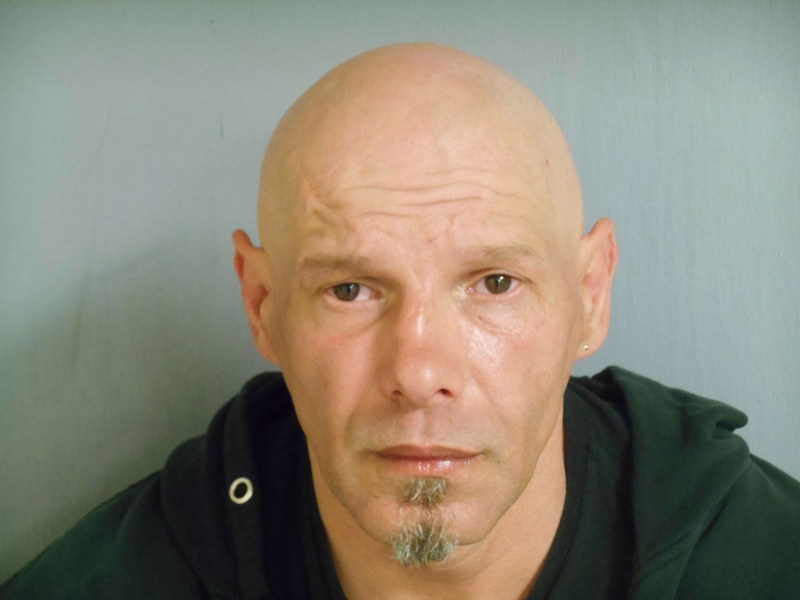 AUGUSTA — A Winslow man found squatting in March at a shuttered Tim Hortons in Waterville is being held in lieu of $250,000 bail on a charge that he attacked a woman Thursday in Winslow, leaving her hospitalized. Victor Dudley, 47, made an initial appearance Friday in the Capital Judicial Center via video from the Kennebec County jail. Justice William Stokes told him he was charged with aggravated assault, which alleges that he “intentionally, knowingly or recklessly” injured a woman and that those injuries carried a risk of death or extended convalescence. The maximum penalty for an aggravated assault conviction is 10 years in prison. The prosecutor, Assistant District Attorney David Spencer, said the woman, 33, was in the critical care unit and remained unconscious, according to information provided by her parents Friday morning. “We are very concerned with the victim’s safety,” Spencer said in arguing for the $250,000 bail amount as well as a curfew and prohibitions on contact with the woman and her parents. Lisa Whittier, as lawyer of the day, said the defense would reserve argument on bail until a later hearing. Dudley said nothing at the hearing except to acknowledge his identity. A spokeswoman for MaineGeneral Medical Center in Augusta said the woman was listed in fair condition there Friday afternoon. Spencer said the parents indicated their daughter had been living with them. Spencer said they returned from the hospital at one point and found 22 messages from Dudley on their phone making threats, apparently against the victim. An arrest affidavit by Winslow police Officer John Veilleux said police were called to 12 Kidder St., Winslow, at 3:21 p.m. Thursday and saw a woman lying on the ground, apparently unconscious. Two women in a passing car had stopped and called police after seeing the woman on the ground. Veilleux said the injured woman had “apparent facial injuries and blood running down her face; her face was also covered with dirt and debris.” One cut on her arm went down to the bone. Veilleux said Dudley was at the scene “with a large amount of blood on his hand and clothing.” Dudley told police the blood was the woman’s and that she had slipped while going down the outside steps and he tried to catch her. The injured woman, however, told medical personnel that Dudley “had assaulted her, punched her in the face and had kicked her in the head and facial area approximately 10 times,” and prevented her from leaving, according to Veilleux’s affidavit. Inside the residence, police found blood on the floor of the kitchen area and blood in the bedroom. He said the woman lost consciousness and was taken to MaineGeneral’s Thayer Center for Health in Waterville. Veilleux said Dudley told police he had drunk six beers that day. The affidavit also says police found pills on him; however, no drug charges were filed against Dudley. At Friday’s hearing it appeared that Dudley had a prior conviction for operating under the influence and for drinking in public; it appears that the burglary charge that resulted from Dudley having been found in March at the Tim Hortons eatery on Main Street in Waterville. That case is unresolved. At the time, Dudley, who was listed as a transient, told police he had gone into the closed restaurant to try to stay warm.